Repeat with the other 2 T. oil/butter, until all patties are browned. In a small bowl mix sauce ingredients, using as much mustard as you like. 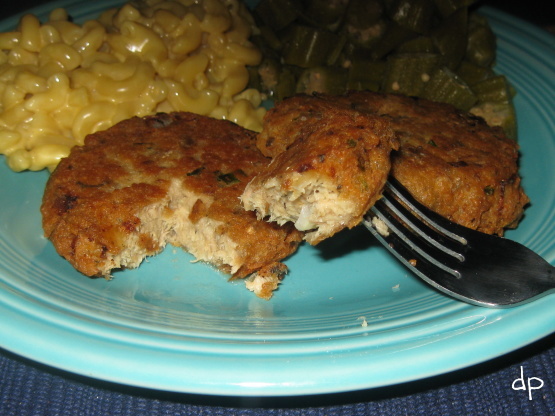 Serve with salmon patties. Add egg, flour and 1/4 cup cornmeal. 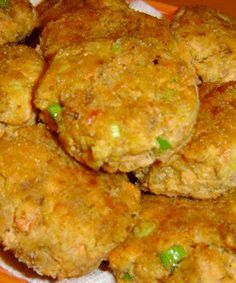 Mix, adding a little bit more cornmeal, until you can easily make patties. Put about 1/2 inch of oil in a large skillet and heat. Place patties in hot oil and brown, flip and brown other side. Flake the salmon in a separate bowl and transfer to a food processor along with the potato, one of the eggs, parsley, 50 g of plain flour and seasoning. Pulse until smooth and transfer to a mixing bowl and chill for 30 minutes.